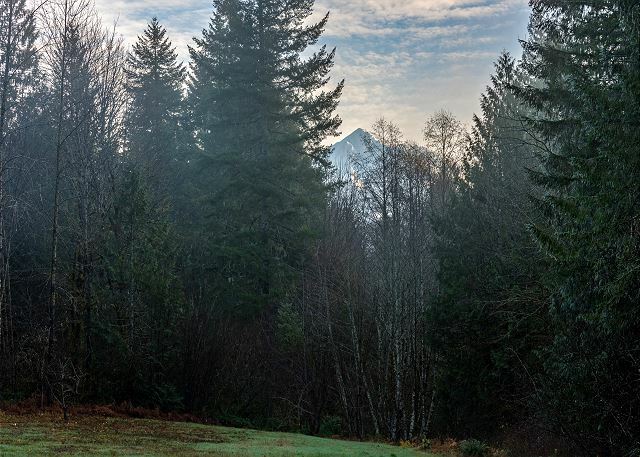 Rest and relaxation are yours at the Mountain View Hideaway when you are surrounded by national forest with awesome views of the peak of Mt Hood. 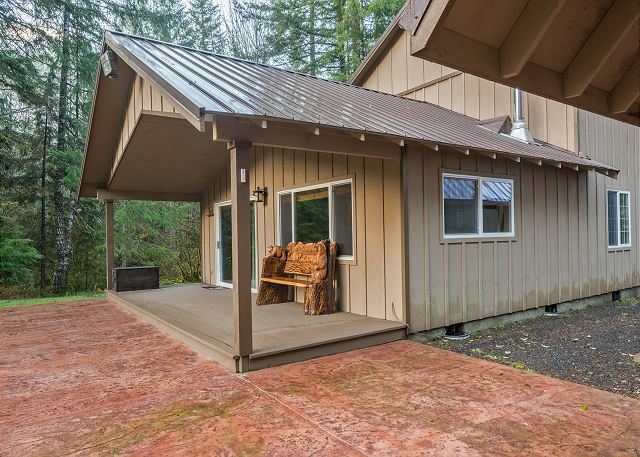 This newly remodeled 3 bedroom, 2 bathroom cabin on 7 private acres is perfect for 3 couples or 2 families exploring Mt Hood during any season. 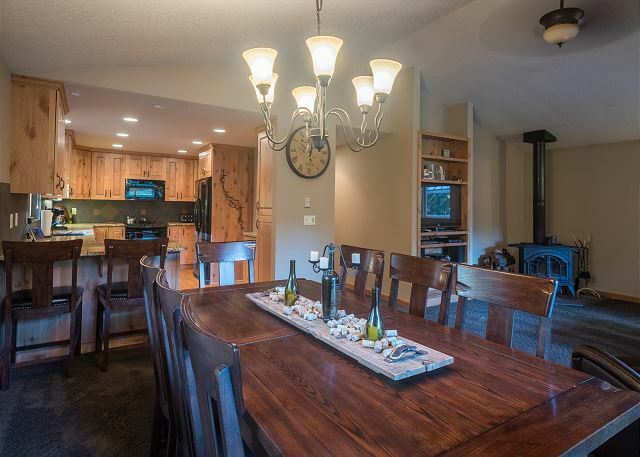 The spacious great room with a modern kitchen and dining table that seats 8 is the perfect place for everyone to gather-round during the evenings after a day of fun. 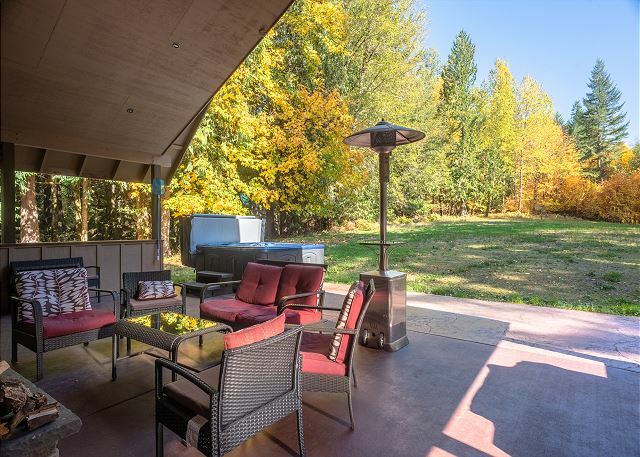 Or head out to the outside living room with a wood-burning fireplace, gas BBQ, comfy seating and outdoor heaters located behind the garage. 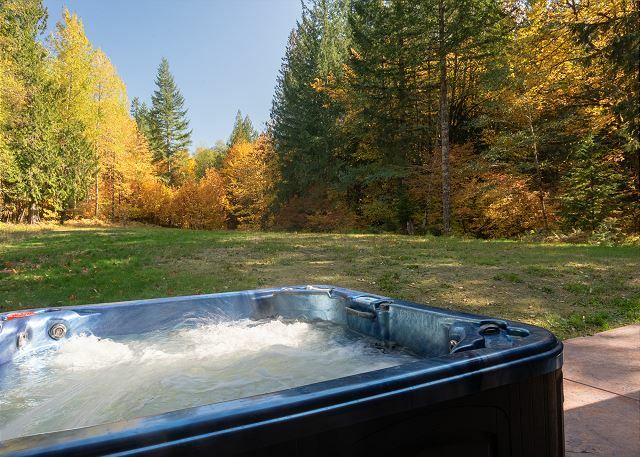 While you are soaking in the private, outdoor hot tub, you will have views of Mt Hood and the moon and stars above. There are multiple living spaces for everyone to spread out and enjoy any activity. The main great room includes the very large and newly updated kitchen and dining table where you can all gather while preparing meals and eating. Relax in the over-stuffed furniture or recliners while watching TV. 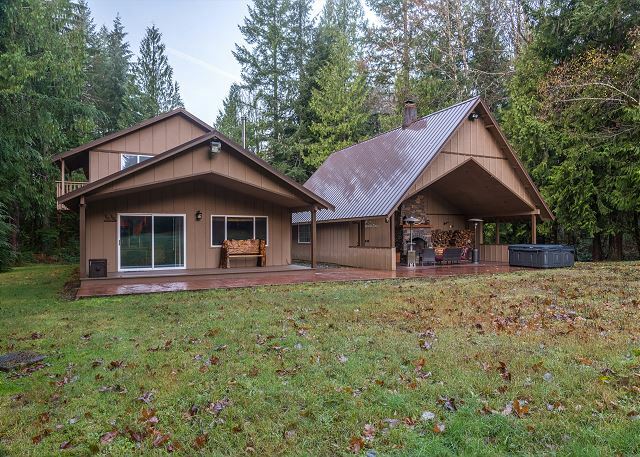 The great room leads out to the mountain-viewing deck and outdoor living room with the wood-burning fireplace, the gas BBQ, outside dining and propane heaters for cold nights. 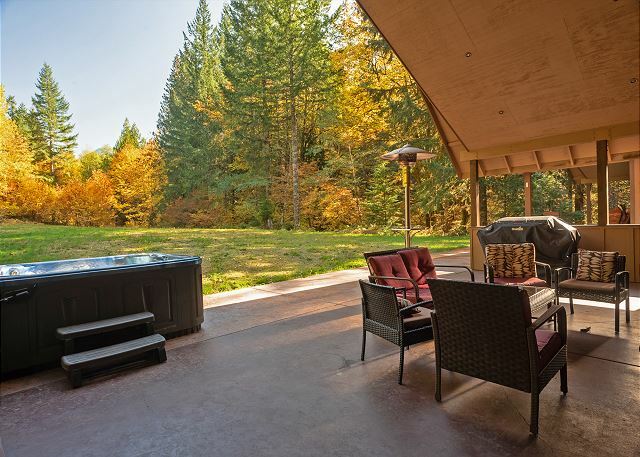 The private, outdoor hot tub is in the outdoor living space surrounded by tall trees with Mt Hood views. 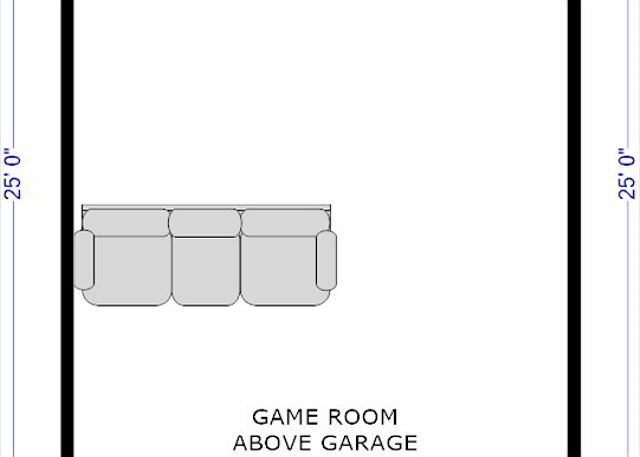 Above the garage, you will find the game room with a large screen TV, a game table, foos ball and lots of games and puzzles. The master bedroom upstairs with a king bed and TV has its own private balcony for sipping your morning coffee or relaxing with a glass of wine and a good book. 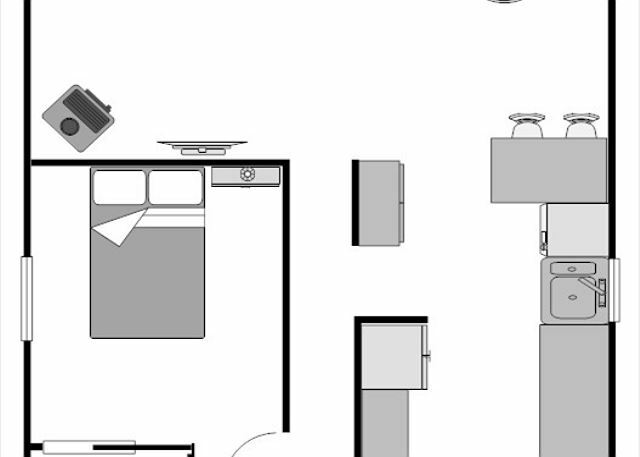 The second bedroom upstairs is perfect for two kids or two single adults with one queen bed and one double bed. The upstairs bathroom with spacious, tiled walk-in shower is across the hall from the bedrooms. 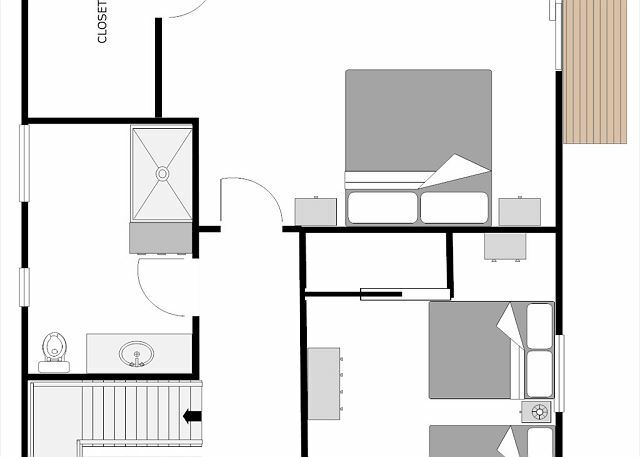 Downstairs, the bedroom has a queen bed and is next to the second full bathroom with tub and shower. 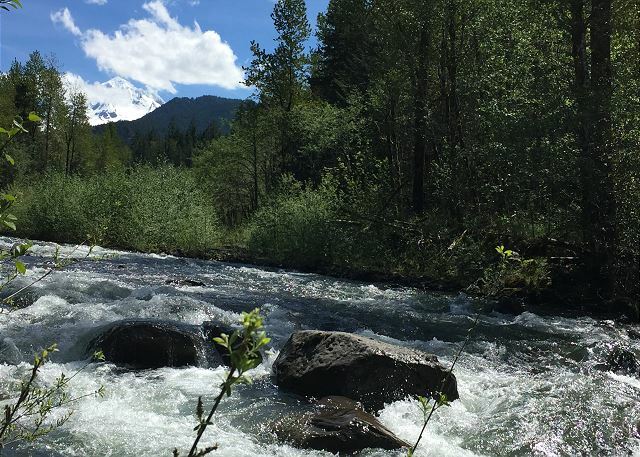 From the back deck, you can stroll along a 5-minute path to the Sandy River where you will join up with a trail that parallels the river for a couple of miles; you can turn left or right and find yourself at the river in no time. During the summer months, play croquet or horseshoes on the meadow and during the winter, you can build a snowman or make snow angels. 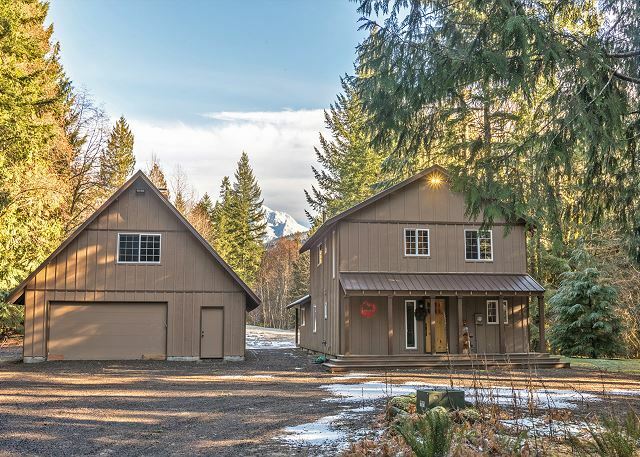 you are just minutes from hiking trails, snow play fun, mountain biking and restaurants. 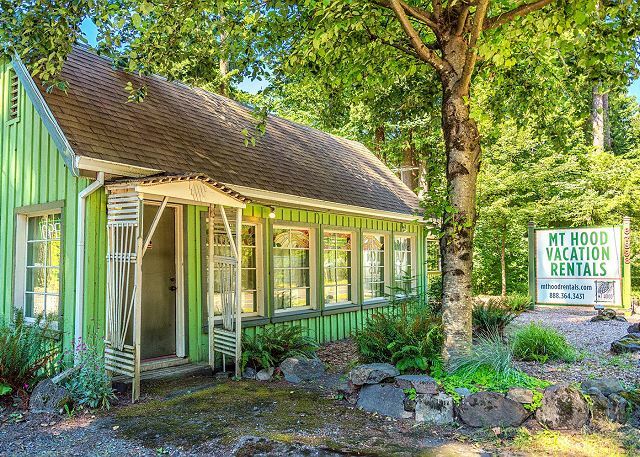 The rental rate for this vacation rental is $175-445/Night. SIMPLY NOTHING TO COMPLAIN ABOUT! Hmmm, let me see, PERFECT! 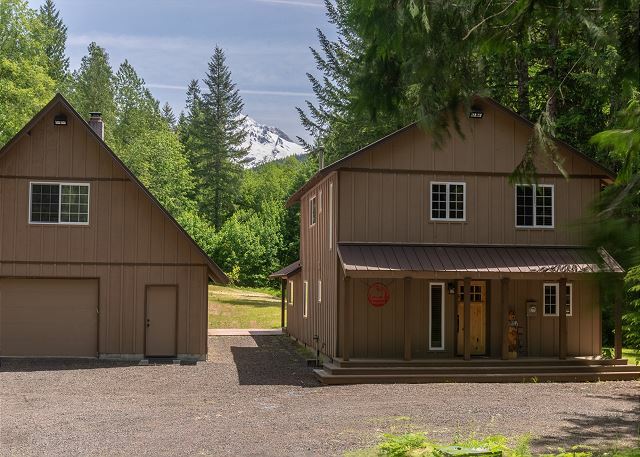 Mt.Hood Vacation rentals were on top of everything from the moment I got my keys, to my last minute request to get some added supplies (wood/propane, etc). Mel was a rock star and placed a ton of wood that we purchased extra in the perfect place. The rep who checked us in, plus who checked us out, was exactly what I would want if I owned the biz...bubbly, professional, speedy and informative! THANKS!!! 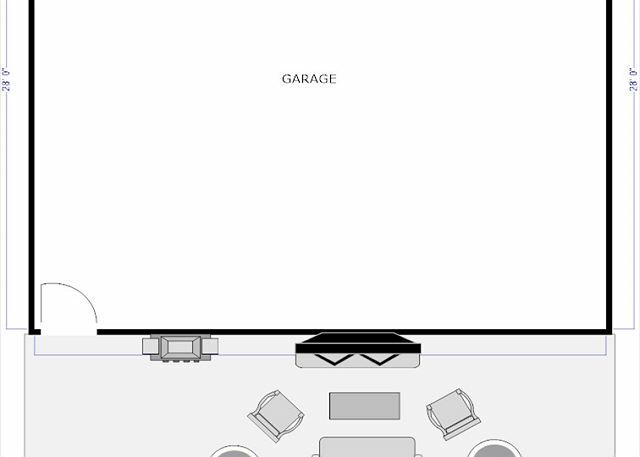 The home had any and everything our 8 person party needed, PLUS! The check out procedures were super super super easy and the home was easily in 5 star condition. **cookies at the front desk are awesome...the dog was so beautiful to see! Thank you so much for your lovely review! 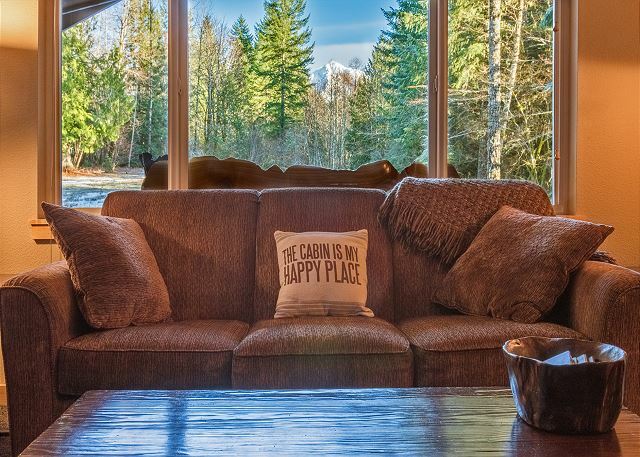 We love caring for our guests and our homes and we are very happy that the Mountain View Hideaway was so perfect for your vacation. Please come see us again soon. 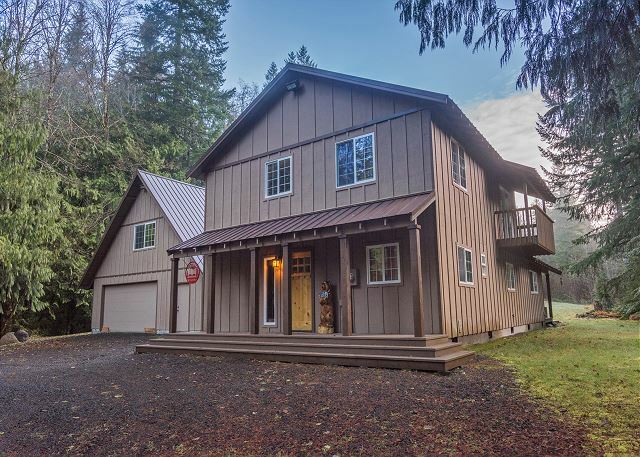 This home is so beautiful, it’s everything you would want in a home. 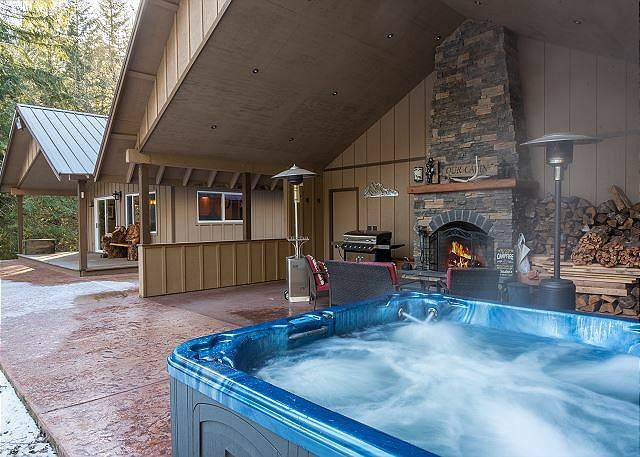 The outside living area and hot tub are so relaxing and the game room is fun. There are trails nearby that lead to the river for a nice little walk. If you need a good restaurant head back out to the main road and go to Zigzag Restaurant, they have a little gift shop and the food is excellent. 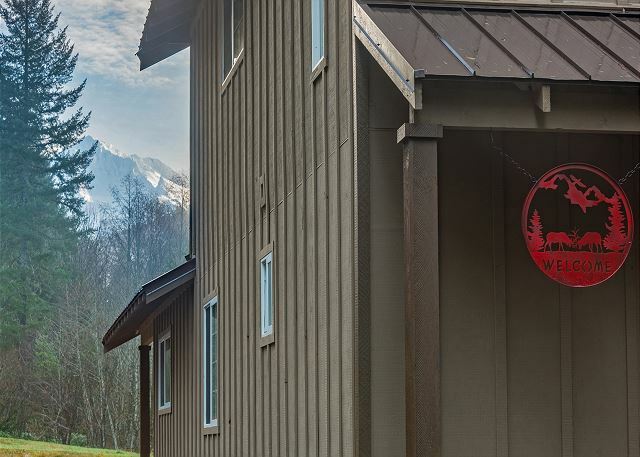 We are so glad that you were able to take a relaxing vacation at the Mountain View Hideaway. 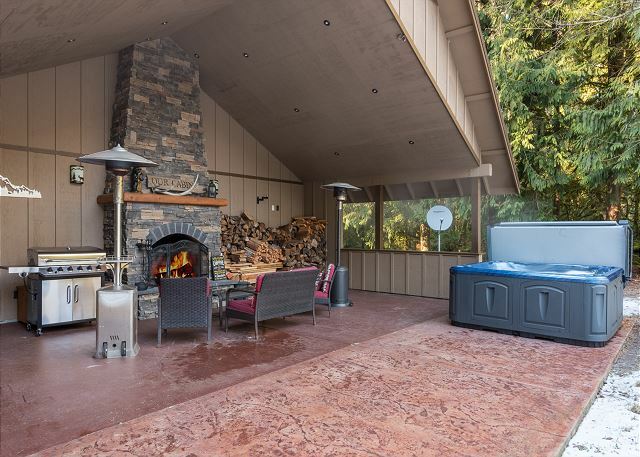 We love the outside fireplace and hot tub, too, especially in the winter when you can sit outside and stay warm. See you again soon. Let’s start with Fay. This girl hit it out of the mall park. I called Fay answered and I told her what I was looking for. Fay suggested the Mountain View hideaway. This is a beautiful home it’s everything and more than Fay discribed. If your looking for a romantic getaway it’s a 10 if your looking for a family vacation it’s a 10. 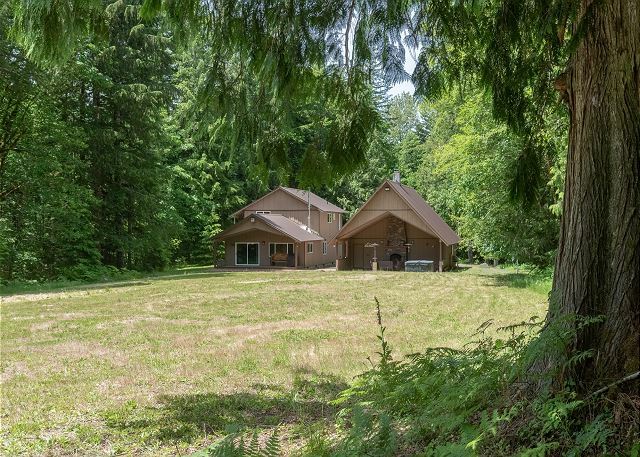 This home is down a shared driveway with very nice neighbors that wave as you pass and then good bye. 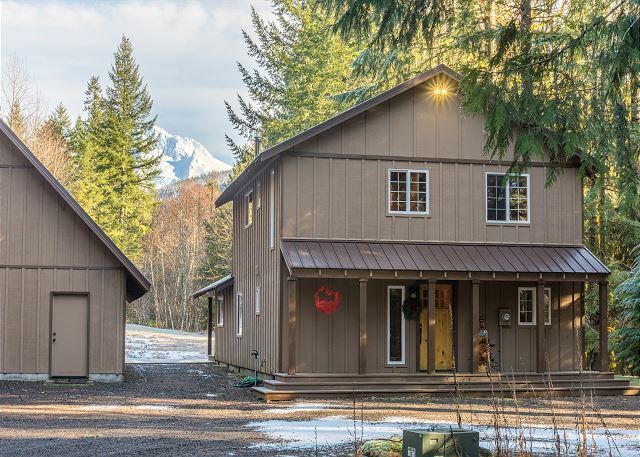 A short drive and you arrive at this beautiful home and don’t even know you have neighbors. This home is secluded . I will suggest Bringing some extra bath towels or ask the office if they can provide some extras. My girlfriend and I. Now my fiancé Can’t wait to return to this home for another getaway. Thank you Fay for making sure that we enjoyed our stay. 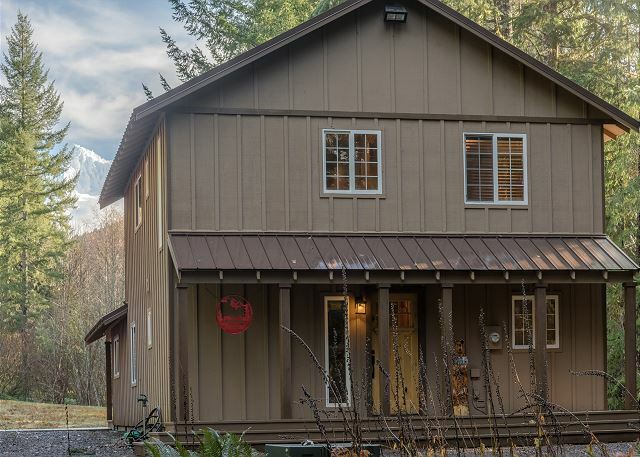 We love making sure you love the Mt Hood Vacation Rental you stay in. And congratulations on your engagement. Please ask for Fay when you book your next stay at the Mountain View Hideaway.